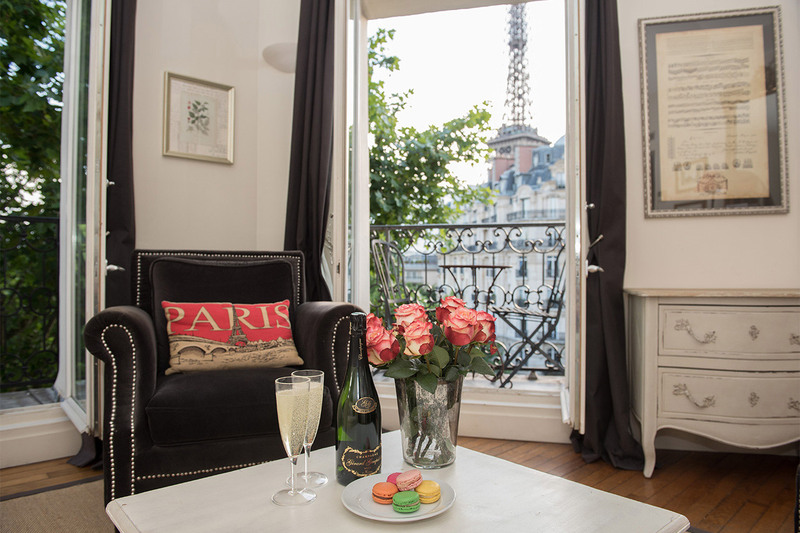 "We had a great stay in your Champagne apartment. The apartment was fabulous, and exactly like the pictures on your website. Our greeter was very helpful, and the wine in the apartment for us on our arrival was a great touch. Needless to say, the views of the Eiffel Tower were spectacular, and we enjoyed the light show multiple times every night. We found the apartment to be very convenient to the neighborhood shops and restaurants as well as public transportation. We experienced a slight problem with the washing machine, and the Paris Perfect staff handled it very quickly. Having broad band internet access and the ability to make phone calls to the United States and most of Europe (free of charge) are amenities not found in hotels, and were much appreciated. We thoroughly enjoyed our stay, and everything was exceptionally clean, well appointed and simply perfect. We would recommend Paris Perfect without reservation to our family and friends."